Your boat is your home away from home. We can help make that home more spacious, more comfortable and more convenient than ever before with some well thought out upgrades and changes. Whether you'd like to use the existing space more efficiently, add additional storage or brighten things up with conveniently placed lighting, Terry's Enterprise can help. 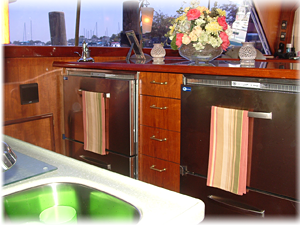 We provide boat remodeling and yacht remodeling services throughout Pennsylvania and Maryland to update the countertops and cabinets in your boat or yacht. Ready to make your boat better than ever? 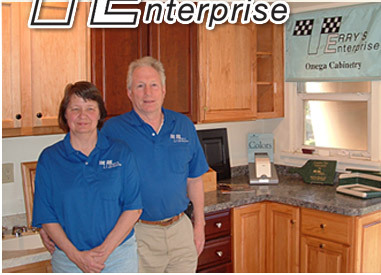 Call (717) 397-6209 or click here and tell us about your project and receive a FREE assessment! "I really appreciate all your patience Sylvia, when we were in the "design phase" of the kitchen. The kitchen functions well (i.e. work flow) & looks great. I enjoyed working with you both!"